Tuesday, November 27th, 1:00-3:00 p.m.
Wednesday, December 5th, 6:30-8:30 p.m. Registration for the events is available via the VML website. Teachers, parents, students, community organizations, and elected officials from across Virginia are all invited to join this rally. Stand up, and let’s march to send a message to our state leaders that K-12 education needs more funding because students deserve a quality education regardless of where they live. The march will start at Martin Luther King, Jr. Middle School, 1000 Mosby Street, Richmond, VA and end at the Bell Tower on Capitol Square. Remember, in the last year for which figures are available (2016-2017), local governments statewide paid more than 51 percent of all operating costs for K-12 education and most of capital costs. Local governments do their part; it’s more than time for the state to step up and do its part. The cost is $65. Registration is available via the VML website. The Virginia Municipal League (VML) invites all Virginia 7th Graders to join its essay contest, “If I Were Mayor,” to tell others what they would do as mayor (or elected official) to make their city, town or county an even better place to live. Regional winners receive $150 and one statewide winner (chosen from the regional winners) receives an additional $250. Contest rules and details available on the VML website. Is time running out for the state to conform with federal tax changes? The Virginia Association of Certified Public Accountants has made immediate tax conformity its top legislative priority to reduce complexity for both taxpayers and tax preparers. Virginia’s Secretary of Finance Aubrey Layne, who also happens to be a Certified Public Account, agrees with his professional association’s priority. In a recent appearance before the Senate Finance Committee, Secretary Layne warned the legislators that the Commonwealth could lose $370 million in income tax revenue if the state does not conform the state tax code to align with last year’s sweeping changes in federal tax law. Based on work done by Minnesota’s tax agency to gauge the impact of state tax de-conformity from the federal Tax Cuts and Jobs Act, Layne told the Senators that taxpayers would have to complete new tax forms reflecting 20 adjustments for individuals and 30 for businesses. The Secretary favors General Assembly action to conform the state and federal tax codes as the first order of business in 2019, putting off the debate on tax policy changes until a future legislative session. However, given the estimated $594 million windfall to Virginia as a result of federal tax changes, it is unlikely that the legislature will issue a pass on the tax policy debate. Gov. Ralph Northam has already announced his preference to use half of the windfall to refund the full amount of the earned income tax credit to eligible taxpayers. Republican legislators are wary about conforming to the new federal tax policies, asserting that Northam’s proposal is a redistribution of tax money that should be returned to the taxpayers who paid it. The political stakes and revenue implications are huge. In case anyone has forgotten, next year is an election year with all 140 seats in the General Assembly up for grabs and taxes will certainly be a campaign issue. But, making policy changes to benefit taxpayers has its own risks. The federal tax breaks for individuals are temporary and will expire by the close of 2025. So, unless the tax cuts are made permanent, the federal tax bills for individual filers will then go up and the state tax revenues will likely go down. At that point, the General Assembly will be put in the position of choosing between cutting the state budget or raising state taxes – a choice most state legislators would rather avoid. In its last meeting before the upcoming session, the House Select Committee on School Safety presented a final list of 24 recommendations for school security enhancements across the Commonwealth. Foremost among these, the committee seeks to address concerns that counselors are overly burdened with administrative duties by recommending that counselors be required to spend an established percentage of staff time on direct services to students. The committee also proposes permitting retired law enforcement officers to take on full-time school resource and security officer positions without forfeiting retirement benefits. Currently, law enforcement retirees can work a maximum 80 percent schedule without losing benefits, limiting the pool of available highly-trained security staff. The full House will consider the complete list of recommendations during the upcoming General Assembly session. When introducing the committee’s proposals, Speaker Kirk Cox emphasized the importance of mental health and early intervention as means of mitigating potential threats in schools. However, as Delegate David Toscano observed, the committee’s funding estimates appear misaligned with its priorities. While many of the 24 recommendations include indeterminate fiscal impact assessments, an estimated $5.3 million would support training and security versus $2.2 million backing mental health supports. Fiscal responsibility for other recommendations, such as the hiring of additional school staff to take over administrative responsibilities (i.e. test coordination) from counselors, could potentially fall disproportionately on localities. The committee plans to release the full text of the final report no later than December 14. Additional information on the committee and its work is posted at https://studies.virginiageneralassembly.gov/studies/462. Budget shortfall of over $460.0 million will challenge Gov. Northam’s and the General Assembly’s plans for the 2019 Session. The state budget for the 2018-2020 biennium assumed the Medicaid budget would increase by 2.5 percent in FY19 and by 3.4 percent in FY20. These rates, which were approved by state decision-makers based on a November 2017 forecast, are significantly less than the 7 percent average annual growth rate over the past ten-years. The state general fund commitment to Medicaid spending is driven mainly by enrollment growth, inflation in certain medical provider rates, and increased supplemental payments to hospitals. The state budget, which was signed into law in June, provided an additional $575.8 million of general fund dollars for the biennial forecast. So, what happened? 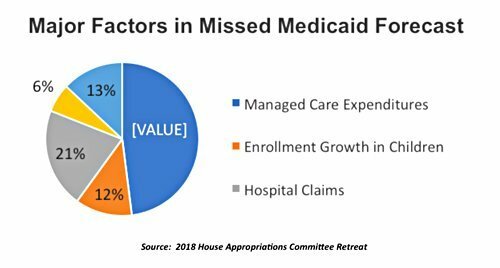 The recently-released November 2018 Medicaid Forecast shows that spending in FY19 will increase by 6.2 percent — not 2.5 percent. For FY20, the new forecast revises downward the spending increase from 3.4 percent to 2.6 percent. Comparing the November 2018 forecast with the state budget passed in June, the general fund shortfall in FY19 is $202.2 million and in FY20 is $260.3 million. Last year’s forecast underestimated the enrollment numbers of low-income children, overestimated utilization savings in Medicaid’s fee-for-service program and missed the growth in hospital claims and expenditures. Policy changes that pushed for greater managed care changes have not produced the dollar savings assumed in the forecast. Managed care rates also increased above the 2017 forecast. For local governments, the Medicaid shortfall could hurt efforts to persuade the state to do more in K-12 funding and other high-priority programs, including the restoration of money taken from the Communications Sales and Use Trust Fund. Gov. Northam’s budget amendments will include his proposal to address the Medicaid shortfall. Those amendments will be submitted to the General Assembly’s money committees on December 18. Amending the Code to require the Board of Corrections to adopt minimum health care standards for all local and regional jails, whether they were already nationally-accredited or not (the original recommendation would have addressed only those without national accreditation). Requesting the Compensation Board, Department of Behavioral Health and Developmental Disabilities, and Department of Corrections to create a single statewide HIPPA compliant release form to be used for all people served through community services boards and the state behavioral health system to allow for better information sharing. The Local Assistance Division Newsletter communicates general information about local programs to both local governments and VDOT staff. The Fall 2018 Edition of the newsletter highlights the 2018 Local Programs Workshop and provides updates on the proposed qualifications program, a new CTB Policy for reporting on At-Risk SMART Scale projects and the pending federal rescission. Other important updates and reminders for locally administered projects are addressed including LAP-MAP, NVAP (for collecting construction data for locally administered projects), local on-time advertisement trends and the importance of maintaining good project schedules. This edition also includes updates on several funding programs and the application cycle for the SGR and Primary Extensions, Revenue Sharing, and Transportation Alternatives Programs. Staff from the Virginia State Crime Commission and Department of Criminal Justice Services (DCJS) presented an update on the 2018 study of the pretrial services program and additional areas for study to the State Crime Commission on Nov. 8 in Richmond. Both the Virginia State Crime Commission and DCJS have been studying pretrial services. The Virginia State Crime Commission gave DCJS recommendations for the program last December and conducted a statewide needs assessment. DCJS convened a stakeholder workgroup earlier this year to gather feedback and recommendations and began implementing a plan to improve administration and uniformity of the program in the pretrial agencies across the state. Pretrial services should be expanded to all localities. Pretrial services should provide both investigations and supervision. The risk assessment tool (VPRAI) should include separate risk scores for risk level to public safety and risk level for failure to appear. The tool should guide the intensity of supervision. DCJS should work with stakeholders to develop training modules/coordinate training of local pretrial stakeholders. Training should focus on the importance of transfer of information between pretrial agencies, judges, prosecutors, defense attorneys and other stakeholders. In addition, a workgroup is developing a new funding formula for the program because the current one is out-of-date with the growth in the program over time. DCJS staff said that its workplan includes more frequent visits to pretrial services program sites, and enhanced monitoring of each program (including quarterly analyses of agency data beginning in the spring) to ensure compliance with DCJS standards and guidelines. Additionally, modifications and enhancements to the case management system will address data issues and gaps discovered by the Virginia State Crime Commission study. At the same time, the Virginia State Crime Commission has a project underway through Dec. 31, 2018 to follow a cohort of adult defendants charged during a one-month period (Oct. 2017) to capture data related to final case depositions, public safety factors (i.e. new arrests prior to final disposition) and instances of failure to appear. A few members of the Virginia State Crime Commission expressed skepticism of the recommendation to expand the program to all localities when it was not yet clear from the study whether the program was effective in meeting its goals, or even if it was a better alternative to having no program at all. DCJS staff answered questions from Virginia State Crime Commission members regarding the accuracy and effectiveness of the risk assessment instrument, the link between the level of supervision and safety issues, and policy regarding auditing of cases when something goes wrong. Staff also said that they would re-evaluate the recommendation to expand the program if the new data showed reason to do otherwise. Additional information is posted on the Virginia State Crime Commission’s website at http://vscc.virginia.gov/meetings.asp. In the latest twist to Virginia’s ongoing redistricting drama, the U.S. Supreme Court agreed Tuesday to hear new arguments in the case, looking specifically at whether the GOP, led be Speaker Kirk Cox, has the standing to bring an appeal against the Fourth District’s June ruling. Traditionally, a court ruling can only be challenged by an individual or group it directly harms. While this new development does not automatically affect the Fourth Circuit’s development of a new map, to be drawn by Dr. Bernard Grofman of UC-Irvine, House leadership could request that the Supreme Court place a hold on the proceedings until after the appeal. This is not the case’s first appearance before the Supreme Court. Whereas the Fourth Circuit originally confirmed that the House’s use of racial thresholds in the 2011 map was acceptable, the Supreme Court instructed the court to reconsider the case in 2017 using a narrower legal standard. Upon review, the lower court determined that House leadership had improperly restricted minorities into fewer districts to allow for higher concentrations of likely GOP voters in surrounding areas. The case is expected to be heard in the spring of 2019. The Supreme Court’s full order list can be found here. The Rural Resource Guide to Help Communities Address Substance Use Disorder and Opioid Misuse is a new resource for rural community leaders looking for Federal funding and partnership opportunities to address opioid misuse and build community resilience. It was developed by the Rural Opioid Federal Interagency Working Group. In May 2018, the White House Office of National Drug Control Policy (ONDCP) convened the Rural Opioid Federal Interagency Working Group to help address the opioid crisis in rural communities by improving coordination and reducing potential overlap among federal agencies. ONDCP and U.S. Department of Agriculture (USDA) co-chair the group, which includes representatives of the Departments of Commerce, Education, Health and Human Services, Housing, Justice, Labor, Transportation, and Veterans Affairs; the Corporation for National and Community Service; and the Appalachian Regional Commission. The Rural Resource Guide is the second tool announced this month in USDA’s Community Opioid Misuse Toolbox (available for free on USDA’s Rural Opioid Misuse Webpage) which is a suite of tools to support grassroots strategies to address the opioid epidemic. Earlier this month, USDA launched the Community Assessment Tool, an interactive database to help community leaders assess how and why the opioid epidemic is affecting their region. The Portsmouth Police Department and Grant Writing USA will present a two-day grants workshop in Portsmouth, December 13-14. This training is for grant seekers across all disciplines and is appropriate for beginning and experienced grant writers from city, county and state agencies as well as nonprofits, K-12, colleges and universities. 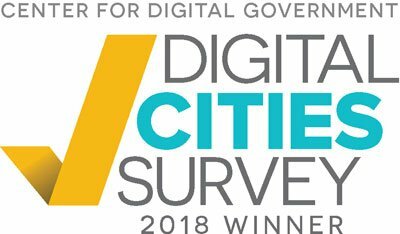 In November, Virginia Beach was named the first-place winner of the 2018 Digital Cities Survey for cities with populations between 250,000 to 499,999 by the Center for Digital Government. This was the third year in a row that the city received this ranking. The annual survey, which is in its 18th year, recognizes cities that are using technology to tackle social challenges, enhance cybersecurity, improve transparency and more. Virginia Beach’s achievements included integrating Smart City priorities with the city council ‘s 10 strategic goals, installing 12 Internet of Things (IoT) sensors to mitigate the effect of sea-level rise and flooding and to support disaster preparedness and recovery, and appointing a chief data officer to improve open data and transparency. Other first-place winners were Los Angeles, CA; Bellevue, WA; Westminster, CO and Coral Gables, FL. These cities were among ten recognized at an awards banquet held Nov. 8 during the National League of Cities’ conference in Los Angeles. Other Virginia cities were also recognized for their use of technology, placing in the top ten of their respective population categories. Lynchburg tied for second place in the population category of 75,000 – 124,999. Also placing in the top ten of their population categories were the cities of Alexandria, Norfolk and Hampton (125,000 – 249,999 population); Roanoke (75,000 – 124,999 population); Salem and Williamsburg (Up to 75,000 population). 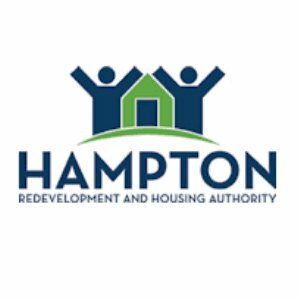 The Hampton Redevelopment and Housing Authority (HRHA) has been rated a “High Performer” agency in both key measures used by the federal Department of Housing and Urban Development, according to a city media announcement released in early November. HRHA scored more than 91 points of a possible 100 on the Public Housing Assessment System for the fiscal year ending Dec. 31, 2017. That set of standards grades public housing — fiscal management, physical buildings, and construction and ongoing funding. The agency earned a perfect score on the Section Eight Management Assessment Program for the same time period.